More than 10 years experience of manufacturing Hydraulic car parking lift, we make the best equipment for car parking in home, companies and automotive showrooms, which provides a flat platform to the ground, no space occupation, safely carry the cars to the right floor. 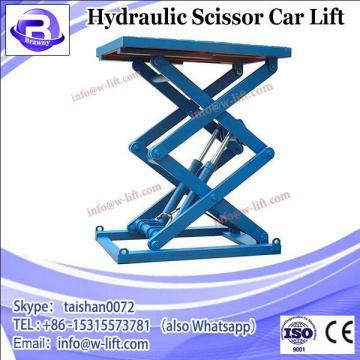 We make fine, high quality and strong Hydraulic scissor car lift platform, we mean to provide equipment with the lest maintenance and serve customer for a long time. Note: The following parameters are just for reference, the lift table is customized, we will design and make according to your private request, such as your loading capacity, stroke and table size etc. 1.Special order: Normal anti-skidding, ball, roller, tilting and rotatable platform. 2. Guard rails are available. 3. Emergency drop valve in case of power failure. 4. High intensity manganese steel scissors, not easy to be deformed. 5. Pins are made of 45# carbon fine round steel, wearable. 7. Limit switches and relay is Schneider, French. 8. High quality seal O-ring, NOK, Japan. 10. Manual hydraulic system is available. 11. Longie products are insured by Chinese People’s Insurance Co., Ltd.
hydraulic scissor car lift is one special type scissor lift for car storage or mainain. You can find it normally in 4S shop, exhibition hall, which also used widely in home or apartment garage indoor or outdoor. 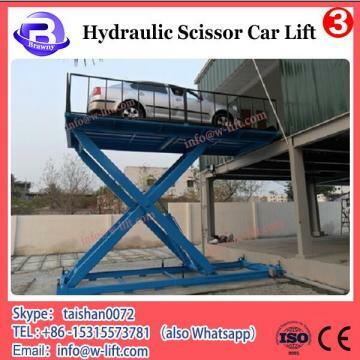 Pit mounted installation can save much space above ground, and LISJG4.0-3.0 Hydraulic scissor car lift platform provide convinient access for car. 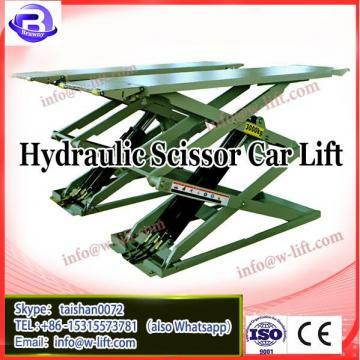 LISJG4.0-3.0 Hydraulic scissor car lift platform is specifically designed for the transportation of Cars, with many wide door opening modes and spacious yet sturdy car, suitable for the transportation of large cars and ensuring the safety when passengers and cargoes both present in the car. Technically,hydraulic scissor car lift advanced CPU control is applied, realizing contact free control to elevate the performance of the elevator, making it the best choice for cargo transportation in factories, workshops,warehouses and malls, etc. hydraulic scissor car lift Special structural design, small area, high-quality steel material, strong four cylinder structure. Thin structure,LISJG4.0-3.0 Hydraulic scissor car lift platform can save more space for maintenance service personnel to make the operation more convenient.